There are a number of voices across several disciplines who are actively participating in the growing scholarly conversation about family focused health care in North America and beyond (Bell, 2017). 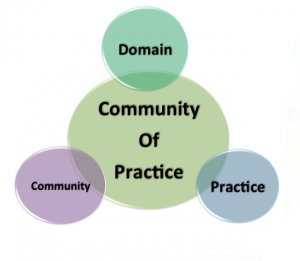 In a Journal of Family Nursing Special Focus Issue on Social Media and Family Nursing, February 2017, Isaacson and Looman (2017) discuss a phenomenon known as “communities of practice” (CoP) where individuals are joined by relationships that share common practices and activities. An important distinction is that CoP are not a group per se but rather a social process whereby competence in a domain is negotiated over time within a community. “If a really important part of learning is the shaping of an identity, then one key implication for education is that you cannot give people knowledge without inviting them into an identity for which this knowledge represents a meaningful way of being.” (Farnsworth, Kleanthous, & Wenger-Trayner, 2016, p. 145). International Family Nursing Association[IFNA]: http://internationalfamilynursing.org Vision of IFNA: Nurses transforming health of families worldwide. Read more: Models for nursing practice with families; IFNA Position Statement on Generalist Competencies for Family Nursing Practice; IFNA Position Statement on Pre-Licensure Family Nursing Education. National Council of Family Relations [NCFR]: https://www.ncfr.org and the Families and Health Section of NCFR: https://www.ncfr.org/sections/fh. NCFR’s mission is to provide an educational forum for family researchers, educators, and practitioners to share in the development and dissemination of knowledge about families and family relationships, establish professional standards, and work to promote family well-being. NCFR has been the scholarly home of Family Sciences for many decades: https://www.ncfr.org/about/what-family-science. Family Sciences is a discipline that is best known in the United States. NCFR is an interdisciplinary organization with annual meetings and was the organizational home for family nursing scholars in North America over many years before IFNA began. NCFR has a Families & Health section: https://www.ncfr.org/sections/fh that is very active and was initially led by family nursing scholars in the US such as Shirley Hanson, Catherine Gilliss, Barbara Mandleco, Sharon Denham, etc. I attended an annual NCFR meeting in Vancouver in 2015 and also attended the Family Health Section business meeting and the organization still felt very familiar with a wide variety of topics—all under the umbrella of advancing knowledge about families. Collaborative Family Healthcare Association [CFHA]: http://www.cfha.net CFHA promotes comprehensive and cost-effective models of healthcare delivery that integrate mind and body, individual and family, patients, providers and communities. American Family Therapy Academy [AFTA] https://afta.org Vision of AFTA: AFTA envisions a just world by transforming social contexts that promote health, safety, and well-being of all families and communities. Society for Teachers of Family Medicine [STFM] http://www.stfm.org Mission of STFM: Advancing family medicine to improve health through a community of teachers and scholars. Tag line: Transforming health care through education. Research has shown that an accumulation of expertise is one of the outcomes of participation in a CoP and that a baseline of domain knowledge is central to this growth (Nistor et al., 2016). Rolls, Hansen, Jackson, and Elliott (2016) recently conducted an integrative review of 72 studies about the use of social media by health care professionals and found that while health care professionals share domain knowledge and develop virtual communities, “tribal behaviors of clinicians” (p. 2) limited knowledge sharing. I believe family nursing scholars are well positioned to participate in CoP that involve interprofessional sharing about how to be helpful to families and promote family health. I’d like to encourage you to seek out interprofessional colleagues and organizations around the world who are promoting #familyheath and #familyhealing. Consider using social media as a way to develop relationships and networks with these people and resources to grow and extend CoP in family nursing and family focused care.